I am not the sort of person who enjoys the travel part of travelling. I love seeing new places, I love taking the children to different parts of the world and all the opportunities and excitement that brings, but I could most definitely live without the actual travel part. 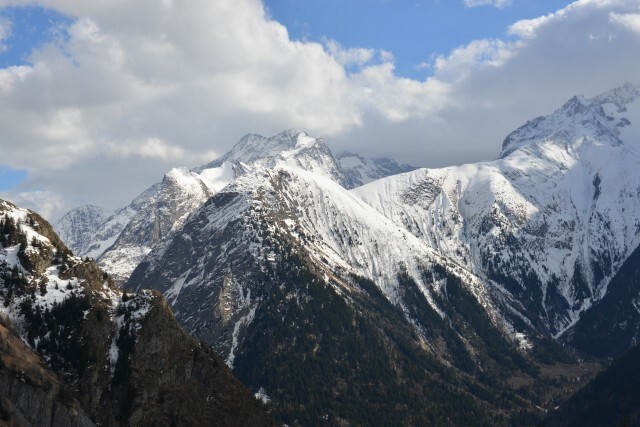 I was quite nervous about the journey to Les Deux Alps, having experienced several terrifying coach journeys up a mountain in my younger years and knowing the impatience of my children to get to their destination, however Madame Vacances made the journey easy and pretty much stress free even for me. Our flight to Lyon was only about an hour from Heathrow and on arrival we were greeted by a chauffeur who drove us the 2 hours to Hôtel Ibiza, the kids dozed at the beginning then then got more and more excited as we got higher and higher up the mountain, shouting excitedly every time we saw some snow. We were a little early for check in, but Hotel Ibiza kindly has croissants and other snacks laid out for hungry skiers so we grabbed a snack, sat down for a drink in the beautiful bar area and spent some time taking in the breathtaking scenery of the Ecrins National Park. The hotel staff were very thoughtful and managed to get our room ready early for us so we could settle in. Hôtel Ibiza is situated at the end of the valley about a 5 minute walk from the centre of Les Deux Alps, the views from the hotel are spectacular and the retro, funky decoration makes this newly renovated hotel very unique. The bar and restaurant area has the most wonderful alpine views, we loved sitting out on the terrace taking in the fresh mountain air, reflecting on our exciting day and took full advantage of the board games built into the tables, spending many a happy hour playing scrabble or monopoly whilst enjoying a post ski drink or two. The five of us shared a duplex suite which had two floors and two bathrooms. The children shared a sofa bed and a pull out bed downstairs while the adults chose the more luxurious mezzanine area complete with very comfortable double bed and sunken bath. The wooden furnishings were simple, but more than adequate. We had everything we needed for an extremely comfortable stay. Even with three children there was plenty of space and we very much appreciated our private upstairs area once the kids were in bed. We slept wonderfully well thanks to the shutter on the outside of the full length floor to ceiling window. It was just amazing to wake up in the morning, open the shutter and take in the perfect view, apart from the one very misty day when we woke up and could only see white. Our room was cleaned daily and included bathroom towels, spa towels, toiletries and snacks. We were also left 5 bottles of water on arrival which was a lovely touch. Hôtel Ibiza also offers spacious twin or double bedrooms with a bath. All rooms have hair dryer, toiletries, flat screen TV and ipod docking station, suites also have a coffee machine. My children adored the balloon and magic man as they called him, who made the most amazing balloons for them and did some fantastic magic tricks as we ate dinner on two of the nights. Karaoke was also available on two other nights of our stay. The atmosphere was generally very chilled out and relaxed with no pressure to join in if you didn’t want to, we felt very at home. Hôtel Ibiza has a spa with indoor pool, sauna, steam room, jacuzzi and fitness area. The children swam each afternoon which was great for unwinding after a day on the slopes and passing the time between skiing and dinner. We stayed at Hôtel Ibiza on a half board basis. Breakfast included a large variety of hot and cold options, including cereals, pastries, bacon, eggs, sausages, bread, ham, cheese, fresh fruit and yoghurt. We were spoilt for choice. The dining room staff were always happy, cheerful and on hand to help with anything we needed, they even provided sandwich bags for us to prepare takeaway sandwiches for lunch and on our final day packed us up a breakfast to eat on our journey. The service overall was exceptionally good. The three-course buffet style dinner was just amazing with lots of variety each day, including seafood, salads, vegetables, and a range of hot speciality dishes including a fish option and a special such as tartiflette or a raclette. Each night there was a child friendly option of chicken biggest or a plain pasta dish, but the children had free choice from the whole buffet. Zak in particular was in his element sampling king prawns and mussels while Sydney developed a love for the cured starter meats. Guests can also upgrade to the all-inclusive board option, which includes breakfast, or brunch served until midday, a grill and cold buffet lunch, a three-course buffet dinner, and unlimited soft and hot drinks, wine and beer served between 10am and 10pm, plus a wider selection of alcoholic drinks served from 6pm until 10pm. Guests can walk to the slopes in about 10 minutes, probably a bit faster without children, or there is a free private shuttle bus from the hotel as well as shuttle buses which run around the town all day. We made the decision to hire a locker by the ski lifts so we didn’t have to carry 5 lots of ski equipment each day which also gave us the freedom to walk easily and not have to wait for a bus. It also meant we could easily stop off at one of the many creparies and speciality chocolate shops along the way without struggling with lots of equipment. We spent a fabulous week at the Hôtel Ibiza in Les Deux Alps and would definitely recommend the hotel and Madame Vacances. 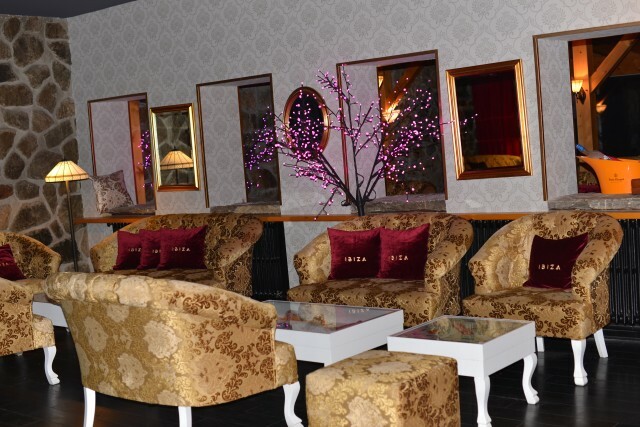 The service from reception staff, bar and dining room staff was wonderful, every employee we encountered was helpful and either answered our questions or found an answer very quickly. The food was some of the best hotel food we have experienced, after a week of eating in the restaurant we were still finding new dishes to try each evening, and had no desire to eat elsewhere. Hôtel Ibiza is situated in a quiet location for those wanting some peace, but also close enough to the resort centre to keep anyone looking for a livelier experience happy. 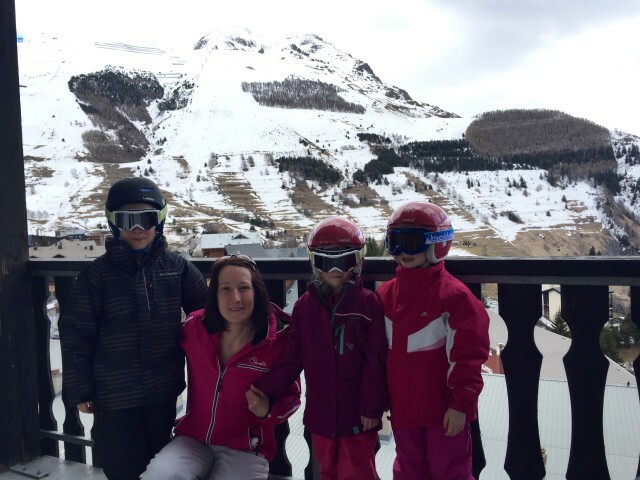 If you have small children a ski in – ski out location would obviously be easier and save time, but the combination of the free shuttle bus or short walk meant it wasn’t much of an issue for us with three children under 9 and wouldn’t put me off staying there again. Thank you Madames Vacances and Hôtel Ibiza for a wonderful stay. Stay at the stylish and recently renovated Hôtel Ibiza on half board for seven nights with prices starting from £319pp based on two people sharing. Any duration of stay is possible and the hotel can also offer B&B and full board options. Transfers can be pre booked through Madame Vacances with prices starting from 75€ return pp with Madame Vacances shared transfer. To find out more or to book call Madame Vacances on 01273 358 071 or visit www.madamevacances.co.uk. Lyon, Grenoble and Chambery airports are an easy transfer from Hôtel Ibiza in Les Deux Alpes and serviced by regular flights from UK airports. We received a complimentary stay at Hotel Ibiza for 7 nights on a half board basis. What an amazing view out of your window at Hotel Ibiza and that swimming pool with it’s floor to ceiling windows looks amazing too! I have to confess, I am more of a sunny holiday lover rather than snow and ski but if I were ever looking for a ski holiday, I’d give this a thorough look!! Oh wow this all looks so amazing! Have never been skiing but would love to one day! Not sure the rest of the family would agree though! Wow, that looks amazing. I know what you mean about getting there, I have been on some hair-raising trips myself. I am looking forward to getting some skying done with the boys! I am no skiier but that hotel looks amazing – those views are incredible – I would be happy to sit looking out of the window with a hot chocolate all day long! I’ve never been skiing – but would love to stay at this super stylish hotel. Wonders if it’s possible to just do the apres-ski?! Oh my goodness, that view from your window is beautiful. Looks like a great place to stay and as a family of five who love to ski I’m bookmarking this! Thank you. cass bailey recently posted..Learn the secret of the magical healing ability of a wet paper towel…. That looks wonderfully – I miss the slopes. Kara Guppy recently posted..Watch out, thereâs a mouse about! This sounds lovely. 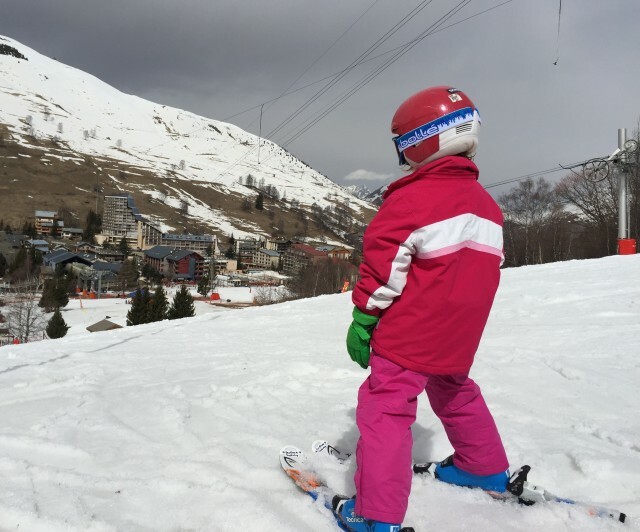 Definitely planning on trying a ski trip in the next year or so when our daughter is 4 or 5. Enjoyed reading this post. Sounds so so wonderful and the view from the pool while you take a swim is amazing! Wow wow wow!! I have always been wary of taking the children skiing but I would go just for that view! Gorgeous pictures and you *may* just have changed my mind about skiing!! Sounds like an awesome trip! My husband says we need to take a vacation soon. Hotel Ibiza sounds perfect – it’s great that you didn’t feel you needed to go out for dinner. After a day of skiing, it’s nice to be able to crash out and relax!